A CHEAP RIDE - Taxi & Airport Transportation - FLAT-RATE FARES A CHEAP RIDETM offers affordable, pre-scheduled airport transportation and private, long-distance car service to anywhere in Texas from our pickup areas in Round Rock, Brushy Creek, Pflugerville, Hutto, Taylor, and Georgetown. We also offer airport and long-distance transportation from other communities in Central Texas such Jonah, Sun City, Weir, Granger, Jarrell, Salado, Belton, Temple, Cedar Park, Leander, Liberty Hill, Burnet, and Marble Falls. See below for a few sample flat-rate fares for transportation service from our pick up areas. If you don't see your pickup location, or your destination listed, just give us a call and we'll provide you a flat-rate quote from where you are located to anywhere you need to go. NOTE* Due to city regulations, we do not provide taxi service from one location to another location within the City of Austin. You will need to use one of the four main taxi companies for local taxi service within the City of Austin; Yellow Cab, Austin Cab, Lone Star Cab, or ATX-Coop Taxi. You may also want to consider one of the local rideshare services ("transportation network providers") such as Uber, Lyft, Ride Austin, or others for local service within the City of Austin. See our "AIRPORT TRANSPORTATION RATES" page for sample flat rates to the Austin, Killeen, San Antonio, Houston, and Dallas-Ft. Worth airports from our pickup areas. Call us for any rate you may not see listed. We'll Take You Anywhere in Texas For Less! All Major Credit Cards Accepted Cash Always Appreciated Sample Flat-Rate Fares: Listed below are just a few sample flat-rate fares to / from the various communities we service. We do not use meters in our vehicles to determine the fare. We utilize a zone-based system to determine our flat-rate fares (which is what all taxicabs used prior to the introduction of the taxi meter). Meters can be confusing and frustrating (i.e., flag drop rate of $2.75 for first 1/11 mile plus .25 per 1/11 mile thereafter, etc.). Meters are based on both distance as well as time, so they continue to run up at stop lights and in heavy traffic. They also give you no idea what the total fare will be until you actually reach your destination, which can be shocking to many people. Who wants to use a calculator just to figure out how much it will cost to get somewhere? Seriously? Even Uber and Lyft charge by the mile and add a rate per minute for the time duration of the trip. ﻿Why not take advantage of our simple, affordable, flat-rate fares on your next trip? Our flat-rate fares make it simple and convenient for you to know up front what your total cost will be when using our transportation services. You never have to worry about our driver taking the long way to cheat you, and in most all cases, our flat-rate fares will be lower than when a meter is used for the same ride with a standard taxi company (especially on longer distance rides). Please keep in mind that our flat-rate fares are not based on a per-mile charge. Our flat-rate fares not only take the distance of your trip into consideration, but also the distance to reach your location prior to picking you up (dead miles), our competitors' rates for common routes, the complexity of the route, and the expected fuel cost and drivers time to be utilized based on the complexity and traffic of a particular trip. For more information on our flat-rate fares to ABIA Austin airport and other airports in Texas, see our "AIRPORT TRANSPORTATION RATES" page. FLAT-RATE FARES FROM ROUND ROCK Round Rock (Central) to Austin (Central / Amtrak Station / Megabus Stop)...$44.00*Round Rock (North) to Austin (Central / Amtrak Station / Megabus Stop)...$49.00*Round Rock (Central) to Austin (South / ABIA Airport - Main Terminal)...$59.00*﻿Round Rock (Central) to Austin (South / ABIA Airport - South Terminal)...$64.00*Round Rock (Central) to Austin (South / IH-35 & Ben White Blvd. )...$59.00*Round Rock (Central) to Austin (South / IH-35 & Slaughter Ln. )...$69.00*Round Rock (Central) to New Braunfels (Central)...$129.00*Round Rock (Central) to San Antonio (North / Loop 410 / US Immigration Ofc. / SAT Airport)...$159.00*Round Rock (Central) to San Antonio (Central / Riverwalk / Amtrak Station)...$189.00*Round Rock (Central) to Taylor (Central / Amtrak Station)...$44.00*Round Rock (Central) to Killeen (South / GRK Airport)...$89.00*Round Rock (Central) to Killeen (Central / Ft. 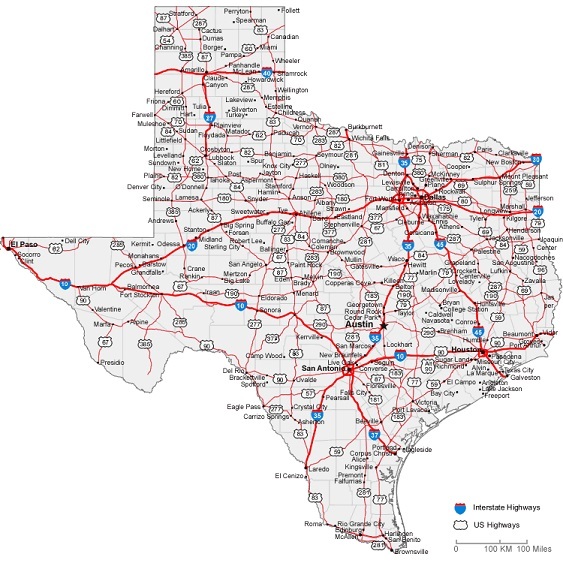 Hood - Requires Stop for Base Entry Permit)...$109.00*Round Rock (Central) to Temple (Central / Amtrak Station)...$94.00*Round Rock (Central) to Waco (Central)...$169.00* Round Rock (Central) to Elgin (Central)...$59.00*Round Rock (Central) to Bastrop (Central)...$89.00*Round Rock (Central) to Bryan-College Station (Texas A&M Univ. )...$189.00*Round Rock (Central) to Burnet (Central)...$89.00*Round Rock (Central) to Houston (Central / IAH Airport)...$299.00* FLAT-RATE FARES FROM PFLUGERVILLE Pflugerville (Central) to Austin (South / ABIA Airport - Main Terminal)...$54.00*Pflugerville (Central) to Georgetown (Central / Williamson County Courthouse)...$39.00*﻿Pflugerville (Central) to Georgetown (North / Sun City)...$49.00*﻿Pflugerville (Central) to Harker Heights (Central)...$109.00*Pflugerville (Central) to Salado (Central)...$79.00*﻿Pflugerville (Kelly Ln.) to Leander (Central)...$49.00*Pflugerville (Kelly Ln.) to Wimberley (Central)...$129.00* FLAT-RATE FARES FROM HUTTO Hutto (Central) to Austin (Central / Amtrak Station)...$59.00*Hutto (Central) to Austin (South / ABIA Airport - Main Terminal)...$59.00*Hutto (Central) to San Marcos (Central / Texas State Univ. )...$129.00*Hutto (Central) to San Antonio (North / Loop 410 / US Immigration Ofc. / SAT Airport)...$179.00*Hutto (Central) to Cedar Park (Central)...$49.00*Hutto (Central) to Killeen (South / GRK Airport)...$109.00*Hutto (Central) to Dallas (Central / DFW Airport)...$329.00* FLAT-RATE FARES FROM GEORGETOWN Georgetown (Central) to Austin (Central / Amtrak Station / Megabus Stop)...$59.00*Georgetown (Central) to Austin (South / ABIA Airport - Main Terminal)...$59.00*Georgetown (Central) to Austin (North / Greyhound Bus Station / ACC Highland Mall)...$54.00*Georgetown (Central) to San Antonio (North / Loop 410 / US Immigration Ofc. / SAT Airport)...$199.00*Georgetown (Central) to Taylor (Central / Amtrak Station)...$59.00*Georgetown (Sun City) to Austin (South / ABIA Airport)...$79.00*Georgetown (Sun City) to Houston (Central / IAH Airport)...$329.00* FLAT-RATE FARES FROM TAYLOR Taylor (Central) to Georgetown (Central / Williamson County Courthouse)...$59.00*Taylor (Central) to Leander (Central)...$79.00*Taylor (Central) to Austin (North / Greyhound Bus Station / ACC Highland Mall)...$69.00*Taylor (Central) to Austin (South / ABIA Airport - Main Terminal)...$79.00*Taylor (Central) to Round Rock (Central)...$44.00* FLAT-RATE FARES FROM CEDAR PARK Cedar Park (Central) to Austin (South / ABIA Airport - Main Terminal)...$69.00*Cedar Park (South) to Austin (South / ABIA Airport - Main Terminal)...$64.00*﻿Cedar Park (Central) to San Antonio (North / Loop 410 / US Immigration Ofc. / SAT Airport)...$189.00*Cedar Park (Central) to Galveston (Central / Cruise Terminals)...$389.00*Cedar Park (Central) to Dallas (Central / DFW Airport)...$319.00*Cedar Park (Central) to Temple (Central / Amtrak Station / Greyhound Bus Station)...$99.00* FLAT-RATE FARES FROM LEANDER Leander (Central) to Taylor (Central / Amtrak Station)...$79.00*Leander (Central) to Austin (North / Greyhound Bus Station / ACC Highland Mall)...$59.00*Leander (Central) to Austin (South / ABIA Airport - Main Terminal)...$79.00*Leander (Central) to Houston (Central / IAH Airport)...$329.00*Leander (Central) to San Antonio (North / Loop 410 / US Immigration Ofc. / SAT Airport)...$199.00* *Note - Posted flat-rates fares include 1 or 2 passengers. Please add $5.00 per passenger beyond 2 (capacity is 6 passengers beside driver total per minivan without luggage, 4-5 passengers beside driver total with luggage) to rates listed above. Please add $10 per passenger beyond 2 for airport or "out-of-town" trips over 40 miles. All flat-rate fares do include tollway fees if the trip requires using a toll road (at the discretion of the driver) and any short (approx. 10 minute) stops for restroom breaks if necessary, but they do not include wait charges, extra stops for picking up additional passengers (if requested), or other stops not specified when the trip fare was quoted. Flat-rate fares as listed above also do not include excess luggage, heavy boxes, pets, or other items. Due to ground transportation regulations in Austin, we do not provide local taxi service (from one location to another) within the City of Austin. We also do NOT provide one-way service FROM the Austin airport. ROADSIDE ASSISTANCE We do not offer roadside assistance or lock-out service, but we will be glad to recommend reputable service providers to you if you are experiencing car trouble. For fast, reliable tire service, jump starts, or lock-outs throughout Williamson county, call Brian McLaughlin with Ausome Roadside Assistance at 512-948-7504. He is honest, and goes above and beyond the call of duty each and every time! He has never let us down. A CHEAP RIDETM offers affordable, pre-scheduled airport transportation and private, long-distance car service to anywhere in Texas from our pickup areas in Round Rock, Brushy Creek, Pflugerville, Hutto, Taylor, and Georgetown. We also offer airport and long-distance transportation from other communities in Central Texas such Jonah, Sun City, Weir, Granger, Jarrell, Salado, Belton, Temple, Cedar Park, Leander, Liberty Hill, Burnet, and Marble Falls. See below for a few sample flat-rate fares for transportation service from our pick up areas. If you don't see your pickup location, or your destination listed, just give us a call and we'll provide you a flat-rate quote from where you are located to anywhere you need to go. NOTE* Due to city regulations, we do not provide taxi service from one location to another location within the City of Austin. You will need to use one of the four main taxi companies for local taxi service within the City of Austin; Yellow Cab, Austin Cab, Lone Star Cab, or ATX-Coop Taxi. You may also want to consider one of the local rideshare services ("transportation network providers") such as Uber, Lyft, Ride Austin, or others for local service within the City of Austin. See our "AIRPORT TRANSPORTATION RATES" page for sample flat rates to the Austin, Killeen, San Antonio, Houston, and Dallas-Ft. Worth airports from our pickup areas. Call us for any rate you may not see listed. 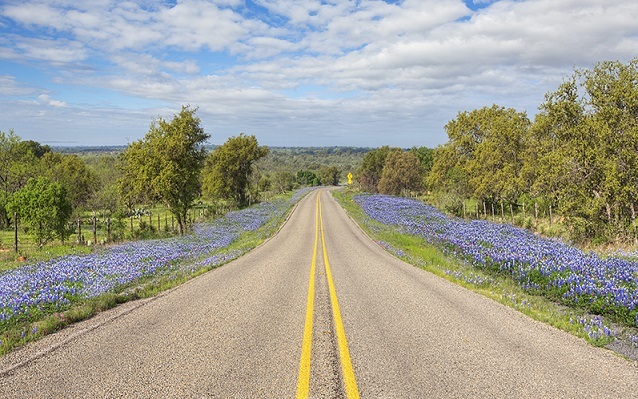 We'll Take You Anywhere in Texas For Less! Listed below are just a few sample flat-rate fares to / from the various communities we service. We do not use meters in our vehicles to determine the fare. We utilize a zone-based system to determine our flat-rate fares (which is what all taxicabs used prior to the introduction of the taxi meter). Meters can be confusing and frustrating (i.e., flag drop rate of $2.75 for first 1/11 mile plus .25 per 1/11 mile thereafter, etc.). Meters are based on both distance as well as time, so they continue to run up at stop lights and in heavy traffic. They also give you no idea what the total fare will be until you actually reach your destination, which can be shocking to many people. Who wants to use a calculator just to figure out how much it will cost to get somewhere? Seriously? Even Uber and Lyft charge by the mile and add a rate per minute for the time duration of the trip. ﻿Why not take advantage of our simple, affordable, flat-rate fares on your next trip? Our flat-rate fares make it simple and convenient for you to know up front what your total cost will be when using our transportation services. You never have to worry about our driver taking the long way to cheat you, and in most all cases, our flat-rate fares will be lower than when a meter is used for the same ride with a standard taxi company (especially on longer distance rides). Please keep in mind that our flat-rate fares are not based on a per-mile charge. Our flat-rate fares not only take the distance of your trip into consideration, but also the distance to reach your location prior to picking you up (dead miles), our competitors' rates for common routes, the complexity of the route, and the expected fuel cost and drivers time to be utilized based on the complexity and traffic of a particular trip. For more information on our flat-rate fares to ABIA Austin airport and other airports in Texas, see our "AIRPORT TRANSPORTATION RATES" page. *Note - Posted flat-rates fares include 1 or 2 passengers. Please add $5.00 per passenger beyond 2 (capacity is 6 passengers beside driver total per minivan without luggage, 4-5 passengers beside driver total with luggage) to rates listed above. Please add $10 per passenger beyond 2 for airport or "out-of-town" trips over 40 miles. All flat-rate fares do include tollway fees if the trip requires using a toll road (at the discretion of the driver) and any short (approx. 10 minute) stops for restroom breaks if necessary, but they do not include wait charges, extra stops for picking up additional passengers (if requested), or other stops not specified when the trip fare was quoted. Flat-rate fares as listed above also do not include excess luggage, heavy boxes, pets, or other items. Due to ground transportation regulations in Austin, we do not provide local taxi service (from one location to another) within the City of Austin. We also do NOT provide one-way service FROM the Austin airport. We do not offer roadside assistance or lock-out service, but we will be glad to recommend reputable service providers to you if you are experiencing car trouble. For fast, reliable tire service, jump starts, or lock-outs throughout Williamson county, call Brian McLaughlin with Ausome Roadside Assistance at 512-948-7504. He is honest, and goes above and beyond the call of duty each and every time! He has never let us down.